The phrase "Jack of all trades" usually has a negative connotation, convincing us that too many skills can lead to a lack of focus. However, Leigh Anne Hilbert tends to take a generalist and multi-disciplinary approach to life and work. Skills grow from and inform each other, and in many senses, design and making are the same, whether it be in food or fabric. This lecture is an examination of a life led by the need to learn, rather than master, and how we can balance them all in our busy lives. 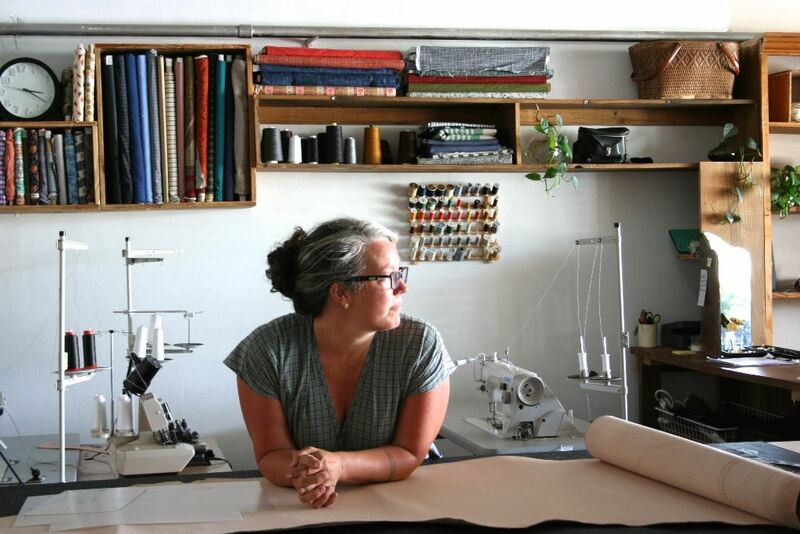 Leigh Anne Hilbert is a leather worker, designer, educator, and business owner. Her experience includes working as a painter, a costumer, a house cleaner and a martial arts teacher in Indonesia, and as a mother, an art teacher, a bartender and a pizza maker in Ireland. Currently she runs The Drygoods Shop and Overlap Sewing Studio, as well as heading up design and development for Sew Co in Hendersonville.